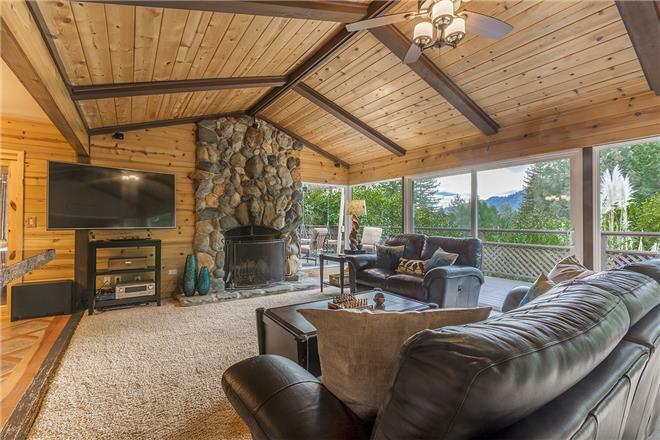 As you walk in the front door you are greeted by a large great room featuring and plush leather sofa and love seat, gorgeous views of the forest, a grand wood-burning fireplace, large smart TV with Comcast access. The grand room opens to the dining and kitchen area, providing a feeling of togetherness. An entertainer's dream come true! While everything about this home is charming and elegant, its greatest attribute is probably the deck, which spans fully across the back of the house and looks out across the redwoods. Complete with 3 lounge areas, a gas grill and a hot tub area. $199 - $600 per night. 30% down to hold a reservation. Balance due 60 days before check-in. 4% processing fee. Listed rates do not include tax. Holiday and peak season rates and required length of stay may be different than quoted above. Credit cards, cash, checks and wire transfers accepted. Minimum night stay varies amongst the various rental units. Many rentals have 30-night minimums.